“I thought you would be mad at me,” I said and was irritated when my voice broke like a naughty child. 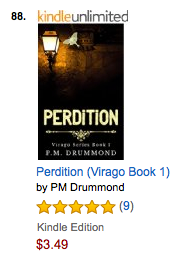 Perdition – Virago Series Book 1 is still on Amazon’s Humorous Fantasy Best Selling list and is again on the Contemporary Fantasy Best Selling list! Thank you to readers who voted for Perdition during its Kindle Scout campaign and to readers who have helped to keep Perdition on these lists. 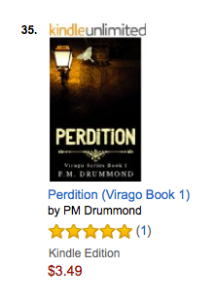 Perdition is a Best Seller! 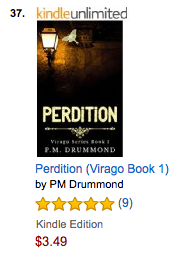 Perdition launched today on Amazon, and thanks to readers, it is already a best seller! It is on the Amazon best seller list for Fantasy – Humorous. As of this posting, it is #35.